simply means Interim Joint Matriculation Board. 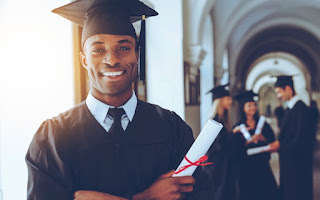 IJMB programme is an Advance Level Programme organized for candidates aspiring to secure admission into any Nigerian University through Direct Entry (DE). IJMB is designed to solve problems of admission for candidates seeking admission into Nigeria University instead of JAMB. IJMB examination is conducted in the first-quarter of every year, while the results is released in due time for admission processing. On completion of the programme, successful candidates can use their result to gain admission into 200 level in any Nigeria university through direct-entry into their chosen university. IJMB program was predominantly done in northern states, but later in the course of the program, lagos state seemed to join the race of states where the IJMB program can be run, but be informed that there are numerous fraudulent study centres that claim to run this program. IJMB is certified by the NUC (Nigeria University Commission) as an advanced level programme for Direct-entry (DE) admission into universities in Nigeria. (See section4.0 of JAMB Brochure for details). The programme last for nine 9 months divided into two semesters. During this period, students are exposed to intensive lectures from Mondays to Friday every week and a weekly C.A test.. Minimum of 7 points in the IJMB program out of 16 points except medicine and law which is 12 points. Each candidate much register for the IJMB program, attend lectures, sit for the examination. Upon completion of the exam, the applicant would apply to the University of their Choice through the DIRECT ENTRY MODE. 1. The result takes whopping of 7 years to expire unlike your JAMB that is only for a year. 4. You will have higher PGD in your university as is going to be divided by 3years not four years not four years like others who used JAMB. 5. You have more advantages of being admitted unlike those used JAMB since students with A level Result(IJMB Result) are very fewer in ratio. As at now, the IJMB PROGRAMME is run in private academic centres in the following states.